Cellular interaction and fusion between two hyphae in the inner part of the colony. The strain used is the wild type (FGSC 2489). 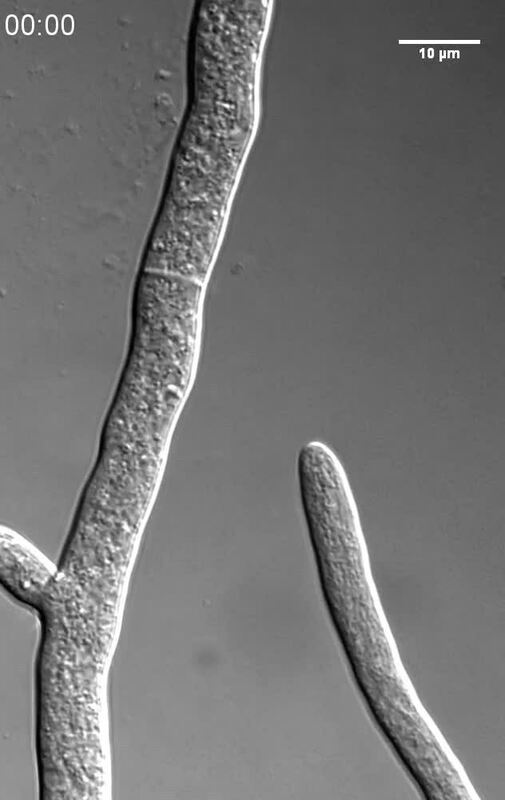 Spores were incubated for 60 minutes in solid minimal medium before the images were acquired. Time is indicated in minutes. Scale bar: 10 μm.